At Pauls Fan Company we have provided industrial fan installation for both commercial and industrial fans for decades. At Paul’s Fan Company we have been installing large fans for both commercial and industrial purposes for decades. Whether you are using a fan for temperature control, improving air quality or materials handling-we’ll make sure it is installed with your custom needs in mind. 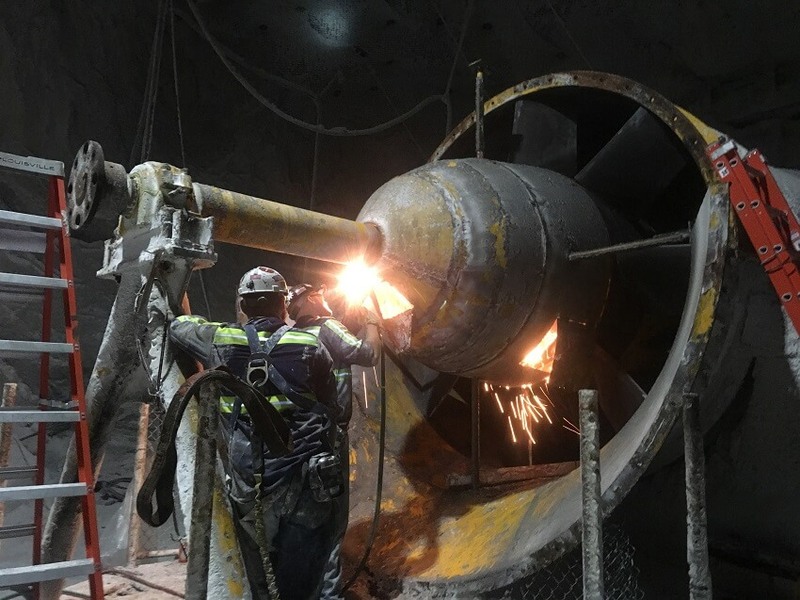 The team of technicians at Paul’s Fan Company have the experience and expertise to provide unrivaled industrial and mine fan services. Our dedication to customer service means that we will keep your fan running with minimal impact to your operation. While our exceptional attention to detail means we will deliver only the highest quality and safest results. Contact us for more information about industrial fan installation. 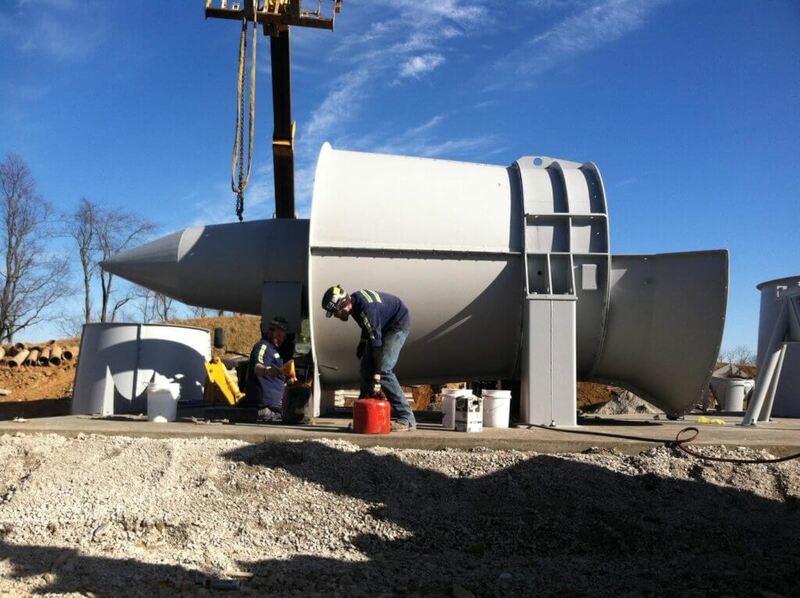 We have installed over 5,000 mines fans and offer full service, turnkey installation. Instead of just delivering the fan alone and leaving you to hire a ventilation engineer and contractor we do it all. We complete the project from start to finish ensuring that the fan is constructed and installed to optimal working levels. All component items are delivered on flatbed trucks. We then unload, assemble, and erect the fan according to agreed upon design specifications. Below are a few of the items that can be included in installation. We’d love to discuss your industrial fan installation needs. Contact us to today!